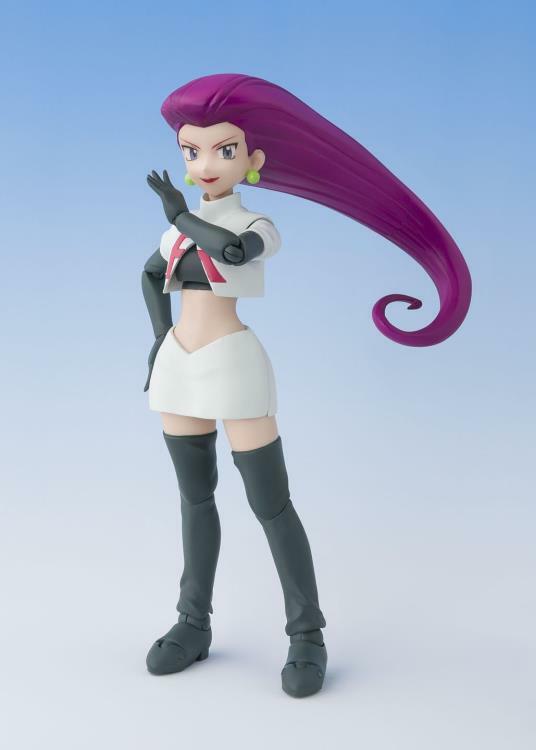 To protect the world from devastation; to unite all peoples within our nation; to denounce the evils of truth and love; to extend our reach to the stars above! 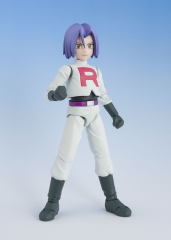 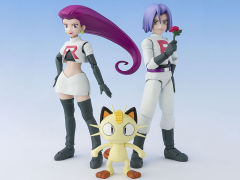 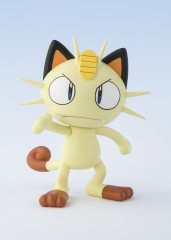 From the Pokemon series and S.H.Figuarts comes the trio fans will always remember: Team Rocket's Jessie, James, and Meowth! 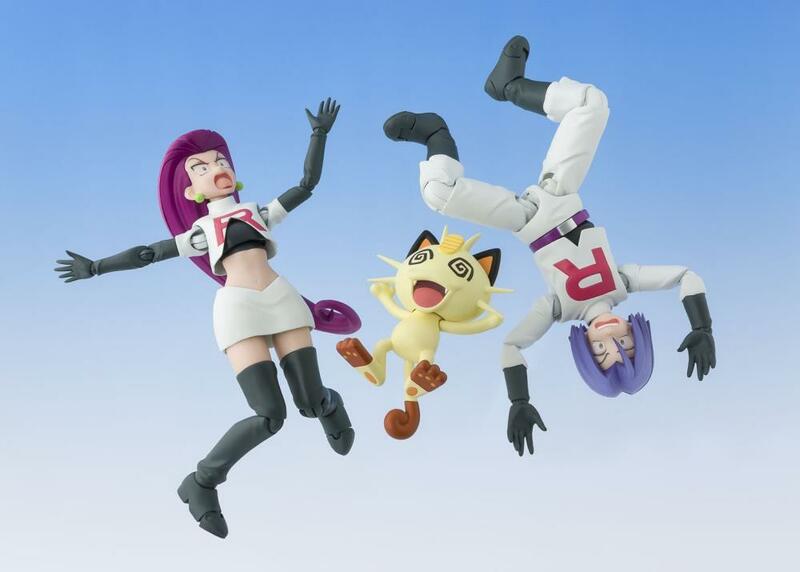 These articulated figures include interchangeable facial expressions, hands, and a base with a stand to display them blasting off again. 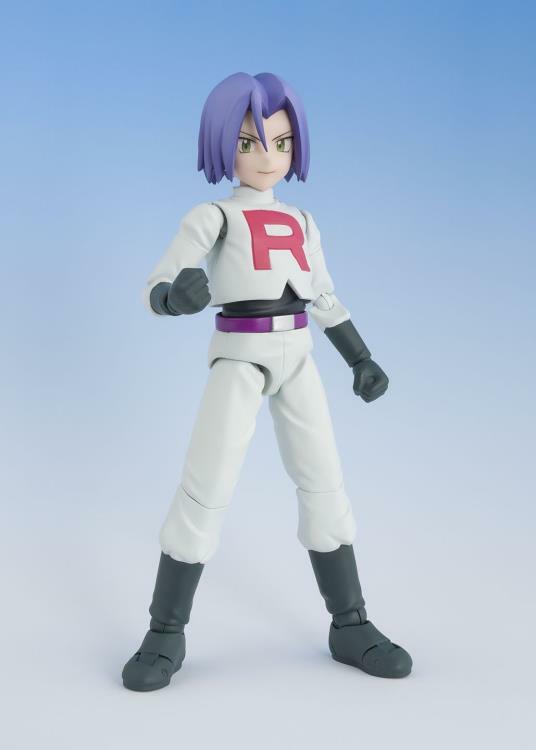 Team Rocket, blast off at the speed of light; surrender now or prepare to fight!